Charleston Forge pieces are hand made in Boone, North Carolina and offer great style and amazing construction! The ascending legs on our Fontana Cocktail Table reach up and support a thick, oval top, creating a spare, open feel in any living space. 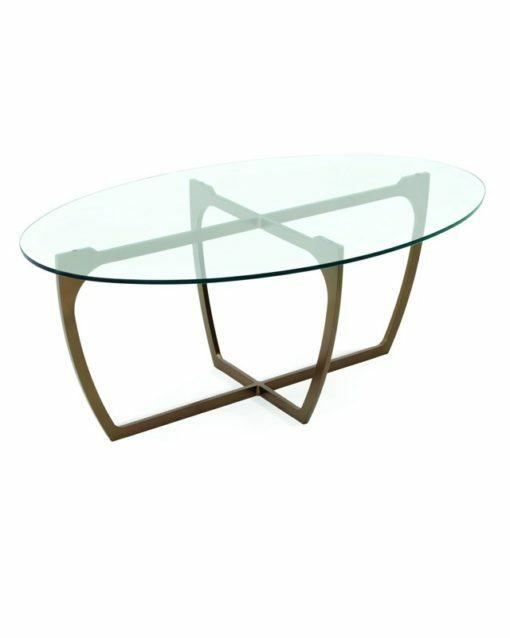 The Fontana collection includes a cocktail table, console, and end table and is available in a wide variety of metal finishes.